This kit is intended for beginners and all those who want to learn the process of felting on the example of the simple seamless dress with carving ornament made using film resists. This is "all-in-one" kit that contains everything needed to help you make your own seamless dress, except some little things: a water scoop, a towel and soap. 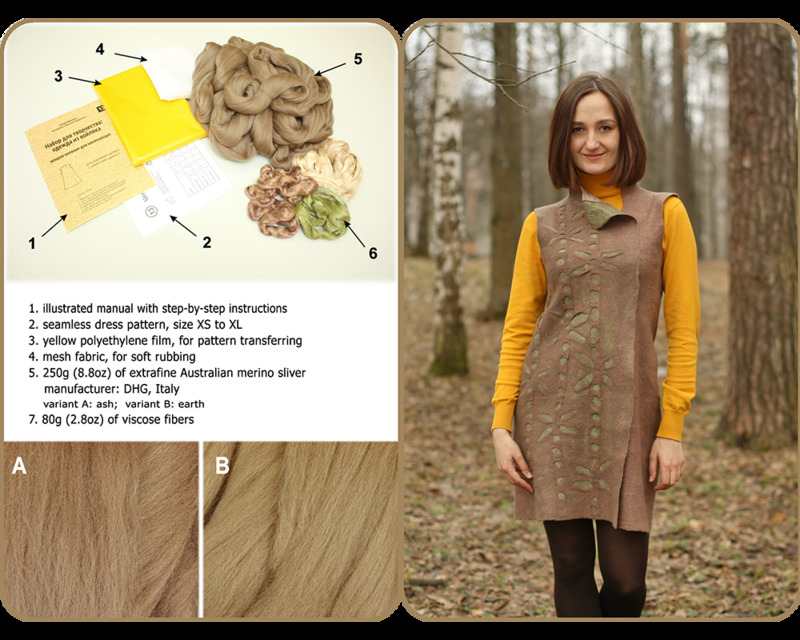 We have gathered all the materials: an extra fine Australian merino sliver and viscose fibers for decoration.